If single-molecule, room-temperature, quantum interference (QI) effects could be translated into massively parallel arrays of molecules located between planar electrodes, QI-controlled molecular transistors would become available as building blocks for future electronic devices. Here, we demonstrate unequivocal signatures of room-temperature QI in vertical tunneling transistors, formed from self-assembled monolayers (SAMs), with stable room-temperature switching operations. 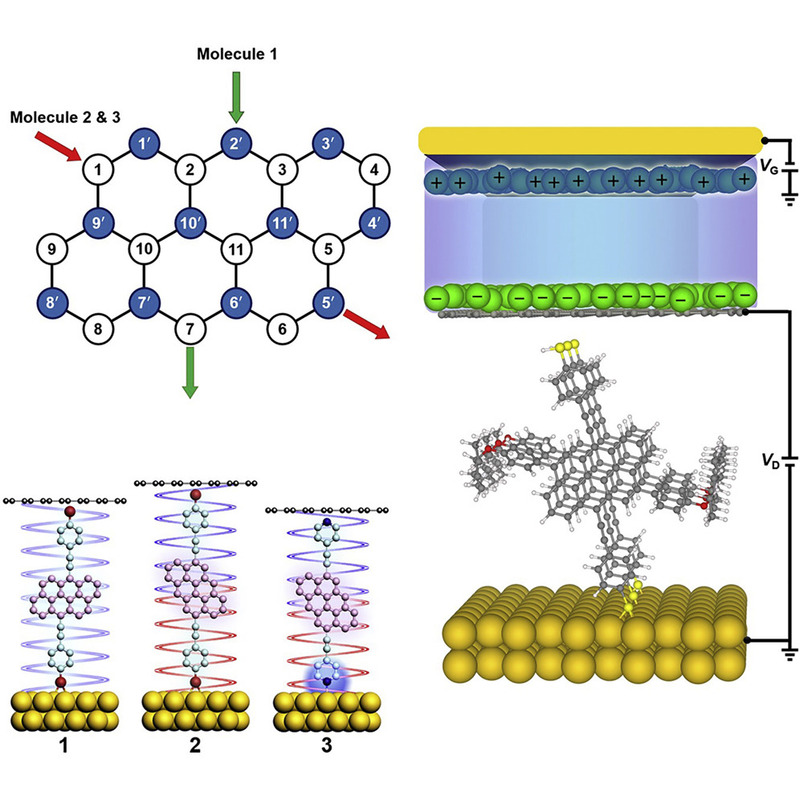 As a result of constructive QI effects, the conductances of the junctions formed from anthanthrene-based molecules with two different connectivities differ by a factor of 34, which can further increase to 173 by controlling the molecule-electrode interface with different terminal groups. Field-effect control is achieved using an ionic liquid gate, whose strong vertical electric field penetrates through the graphene layer and tunes the energy levels of the SAMs. The resulting room-temperature on-off current ratio of the lowest-conductance SAMs can reach up to 306, about one order of magnitude higher than that of the highest-conductance SAMs.